so finally a few pictures up from our trip! 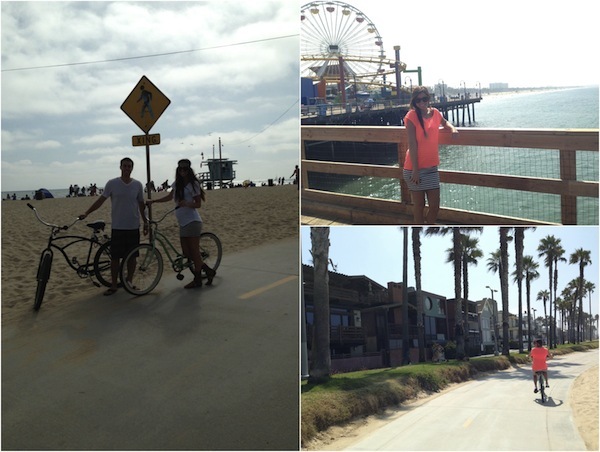 we stayed by the santa monica pier and by venice beach and we absolutely loved the area! i could honestly move there if it were my choice! the weather was perfect and we couldn't have asked for a prettier view! 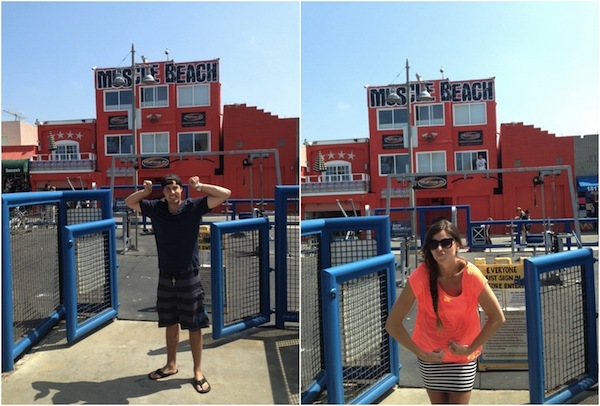 also, my hubby may kill me for putting up the muscle beach pictures, but i just had to! ha! another one of my favorite things was heading into LA for the day and seeing the stars on holllywood blvd. and then heading up to the griffith observatory and seeing the city from afar. this was such a cool place and we got a few of my favorite pictures while at the observatory! 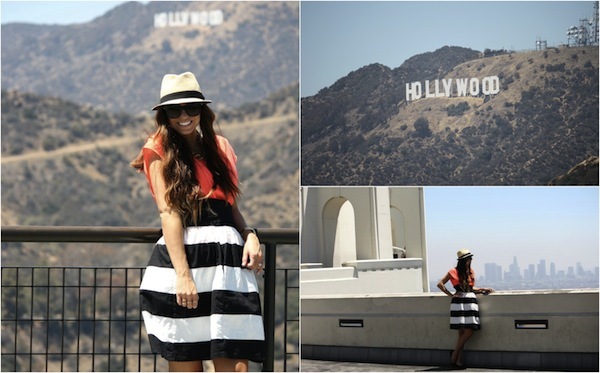 we also headed over to rodeo drive this day (which was a must see on my list!) and walked around and shopped for a little bit. it was definitely glamorous and fun to see! lastly, one thing we know how to do right is EAT! we had some of thee most amazing meals i've had in a while on this trip! one of my favorite spots in venice was a little street called abbot kinney, which is apparently, from what we were told, one of the "hippest" places in LA at the moment (but don't quote me on that ;) ) ... if i have ever seen a "hipster" type place though, this was it! some of the trendiest shopping and amazing eateries! apparently the hottest and trendiest at the moment is gjelina's which completely lived up to everything everyone talked it up to be! amazing food, atmosphere, and definitely an experience! 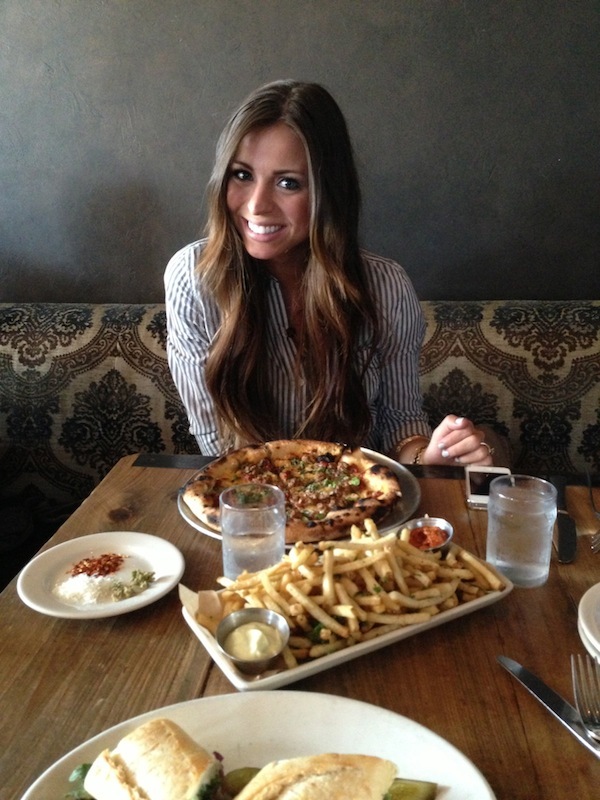 another one of my favorite places that we ate was called the griddle cafe in LA where we went and had brunch one day. it was one of those completely random places that we "accidentally" stumbled upon and hadn't heard a thing about, but ended up being one of my favorite meals and possibly thee best french toast i think i've ever had! i have a good feeling we probably won't wait too long before making another trip out to the coast. we realized we live close enough we will be making this an annual (if not semi-annual) thing! You and your husband are darling. Looks like such a fun trip! What a great way to celebrate your anniversary! Love your pictures. Looks like you had a great time! what a total blast! i also LOVE cali. oh the life! you look gorgeous in all these pictures. Thank you so much! You are so so sweet! Isn't California just the most beautiful?! Renting a bike and cruisin' is one of our favorite things to do when we go! 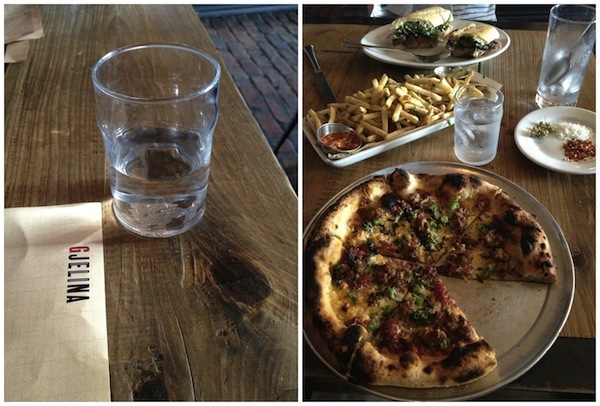 Trying new restaurants is always fun, too! Glad you guys had a great time!